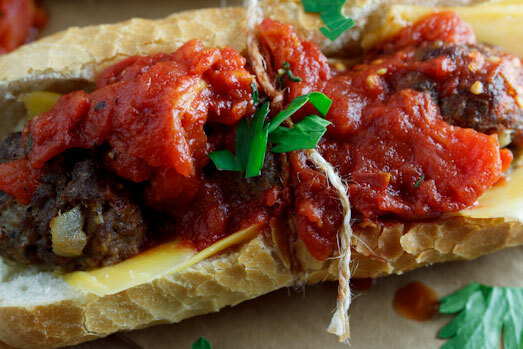 The first time I ever heard about a “Meatball Sub” was when I was about 14/15. I was watching one of my all-time favourite tv programs, FRIENDS and Joey bought a Meatball sub to eat in the back of a car. He was so infatuated with this meatball sub and didn’t even want Chandler to smell it as he was “stealing taste particles”. Any sandwich that makes a man complain about people stealing taste particles is a sandwich I want…now! So over the weekend I had no idea what to serve for lunch and as I was strolling through the supermarket, saw the most delectable, fresh mini baguettes. Crusty on the outside and soft and doughy in the centre, (yes I broke one open, the bakery staff know me very well by know) I knew I wanted to create something around the bread. This however isn’t knew for me as I am in a complete sandwich/burger phase right now. I grabbed a few of the rolls and set off to find something to put inside them. 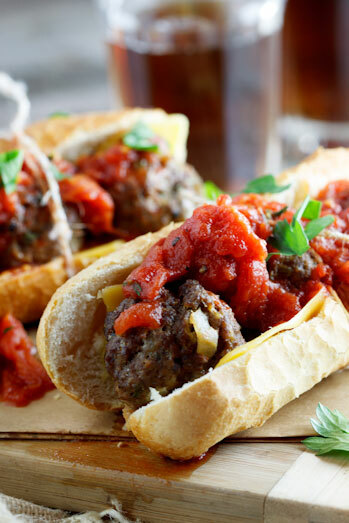 I thought of making Boerewors rolls with a spicy tomato relish, but then spotted the lean beef mince (ground beef) and as I’m also known for loving a good meatball, thought it would be a great way to make my own version of the famous meatball sub. I wanted the meatballs to be succulent and juicy and so I used the same meatball recipe I used for last week’s 3-meat & ricotta meatballs except that I only used beef. For the relish I simply fried onions and garlic and added a tin of chopped tomatoes and flavourings and allowed to simmer until thick and reduced. We were lucky to have a beautiful sunny and warm day on Sunday and so I served the Meatball subs, pool-side with some cold beers. Perfection! In a frying pan, fry the red onion and garlic in a bit of olive oil, until soft and translucent. When cooked, remove from the pan and set aside. 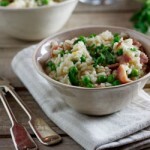 In a large bowl, combine the meats, cooked onions, bread crumbs, parsley, ricotta, spices, salt & pepper and mix well. To make sure the seasoning is correct, fry a teaspoon of the mixture in the same pan you fried the onions and taste. Adjust seasoning as necessary. With wet hands, form golf ball-sized meatballs and place on a tray lined with clingfilm/tin foil. When all the meatballs have been formed, place the tray in the fridge and allow the meatballs to rest for 20-30 minutes. Place the chilled meatballs on a greased baking tray and place in the oven. Bake for 15-20 minutes until the meatballs are cooked through but still juicy. In the meantime, get started on the sauce. 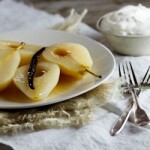 In a medium saucepan, fry the onion and garlic in olive oil until soft & translucent. Add the tomatoes, Balsamic vinegar, chilli flakes, sugar and season to taste. Allow to simmer and reduce until the sauce has thickened. To serve, cut the rolls open, but not all the way through. 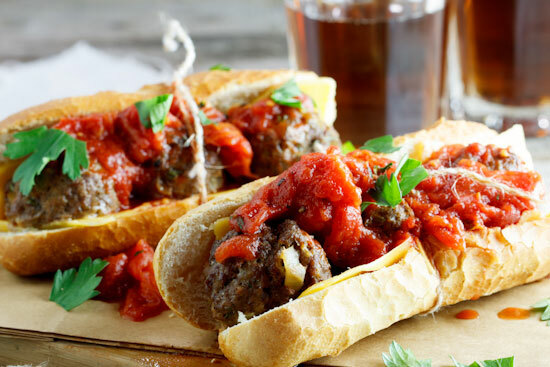 Place the sliced cheese on the bread followed by a few meatballs. Spoon over the tomato relish and serve immediately. Hi Alida. 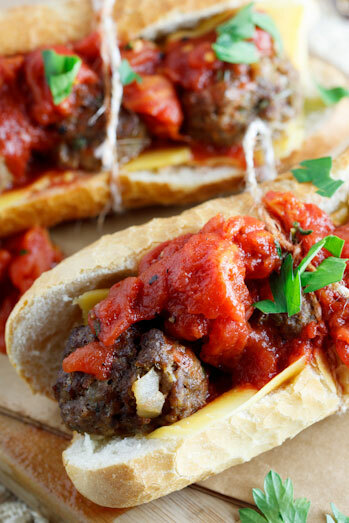 I am gluten intolerant but in the mood for this meatball recipe. I will gladly have it without the bun but I would like to know if I were to leave out the breadcrumbs, would it fall to pieces? Good morning Alida. OMW, I made these meatballs last night and we finished the whole batch. I love a good meatball as they are easy and fun for children to eat but I have not been able to find a good recipe for great ones. Well, that is until now. They are so yummy. Yet another recipe of yours I will be adding to my collection. And next time I will be making them with the subs as above, I just know that will be great.